Ok, I know this is late, but better late than never right? Last weekend I was sick in bed and I didn’t get a chance to share my photos from our Halloween. We celebrated Halloween by going to the Spooktacular Extravaganza at Spring Mountain Ranch, visiting the haunted Magical Forest at Opportunity Village, and trick or treating at Downtown Summerlin. 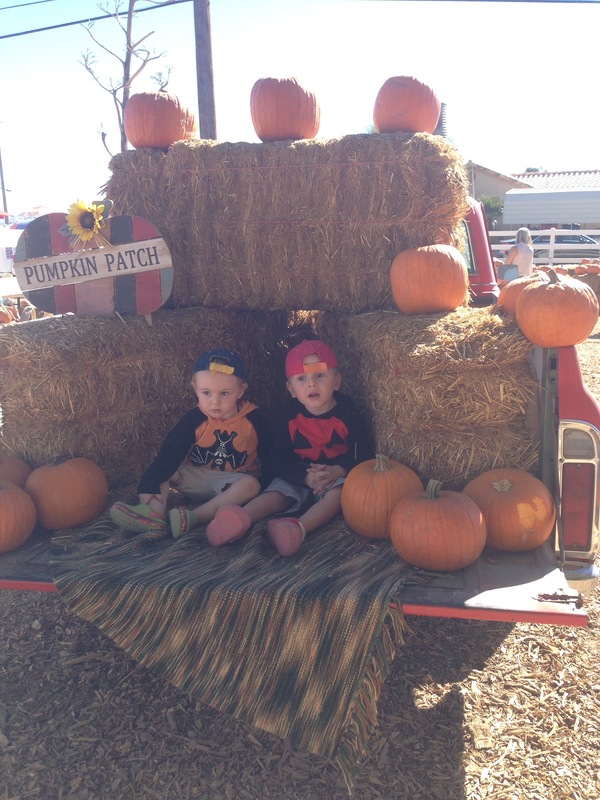 Spring Mountain Ranch’s Spooktacular Extravaganza had hayrides, crafts, face painting, and outdoorsey fun for little kids. Ben got his face painted and made a leaf pendant. Adam rode a toy bull that the boys later practiced their roping and lassoing skills on. They boys also did pumpkin bowling and we took a little walk around the property which combines a beautiful meadow with Nevada’s red rocks. At Opportunity Village we enjoyed touring the haunted Magical Forest (not scary for littles), riding rides, and taking the train ride through the Magical Forest. Opportunity Village also has a large Christmas display and winter activities for families. The entry fee is completely a donation to Opportunity village which assists disabled men and women to live fulfilling lives. Lastly we had fun with our Paw Patrol pups Trick or Treating at Downtown Summerlin. The boys loved the police car trunk or treat there and we left after watching Charlie Brown on the green lawn. How was your Halloween? What did you do?